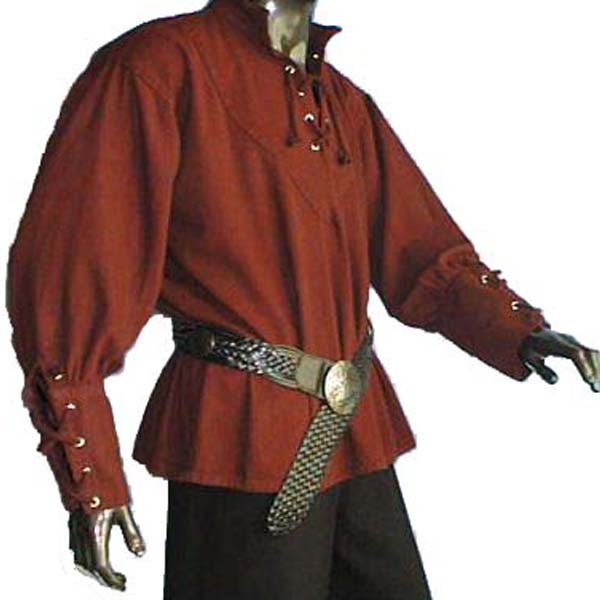 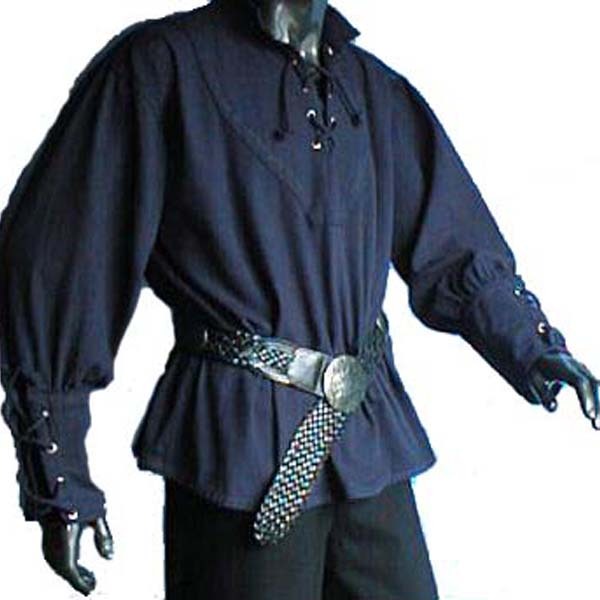 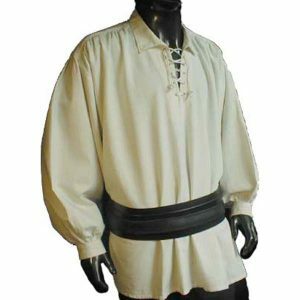 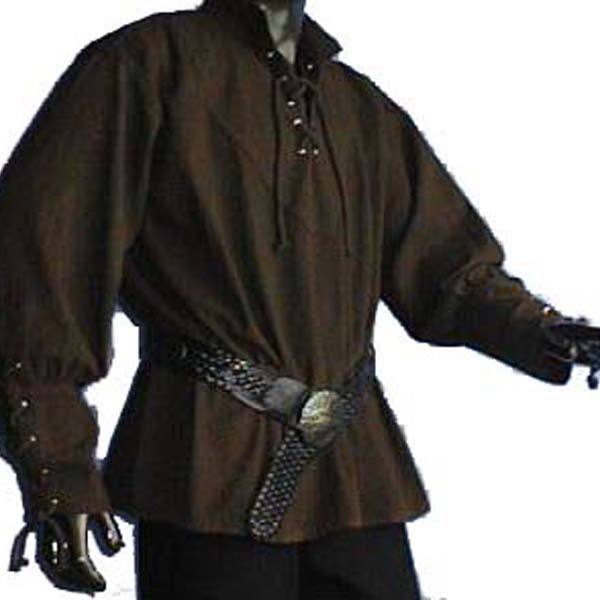 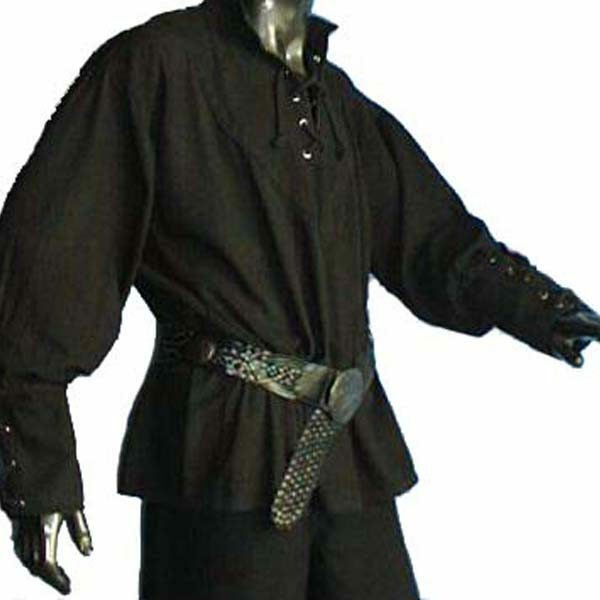 This Medieval Shirt with stand up collar is ideal for privateering both on the oceans and in the cities, whether you’re a humble pickpocket or a notorious pirate captain. 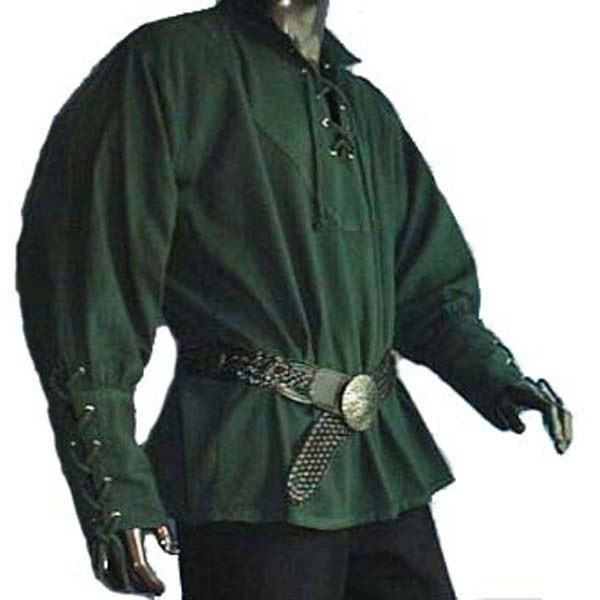 Made from cotton with lace up sleeves to the forearm, the shirt can comfortably be worn under other garments or effectively on it’s own in warmer climates. 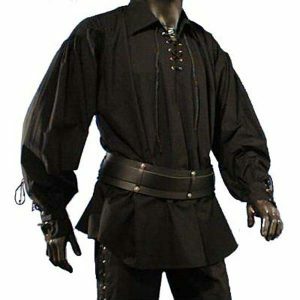 The neck is lace up with a short V and wide collar – helpful for protecting your neck against the harsh sun. 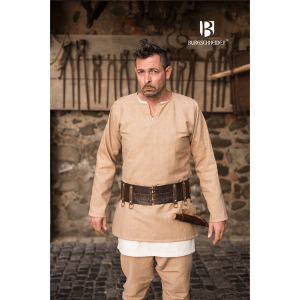 An ideal base garment for any LARP character, this can used as part of a more elaborate outfit with armour, robes or cloaks.